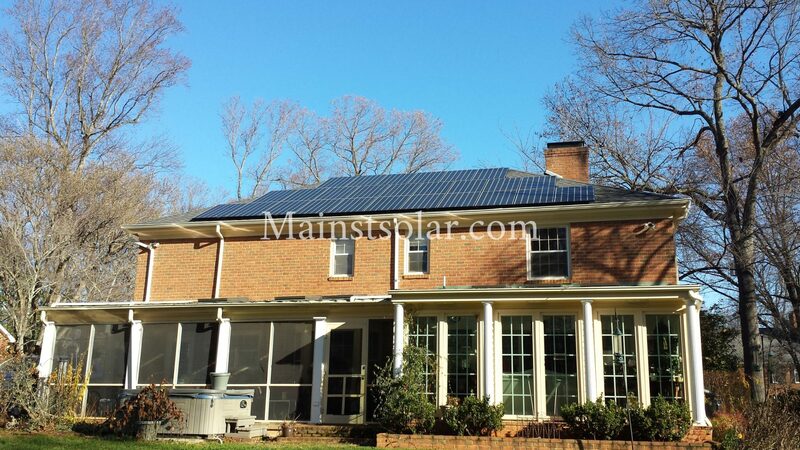 Since each home, location and family in Virginia is different, each solar system that goes on a home in Virginia must be different too. Your solar system will be different from your neighbor’s. And that means a proposal or quote from an installer must be customized for you, based on an in-person visit to your home. For those of us lucky enough to call the Old Dominion home, the variety of our state offers a place for almost any taste. If you like the beach, there’s Tidewater and the coast. If you want a bustling city, try Richmond or the DC suburbs of Northern Virginia. College towns like Charlottesville and Blacksburg appeal to those who like arts and culture. And for those who want to settle down into the peace and quiet of a farm or small town, it’s hard to beat rural living in the Shenandoah Valley or Southwest. With more miles of coastline than California, along with valleys, hills and some of the highest mountains on the East Coast, Virginia offers a wide range of landscape and climate. That’s one reason we love the state — and a reason why Virginia is also a challenge for solar installers. 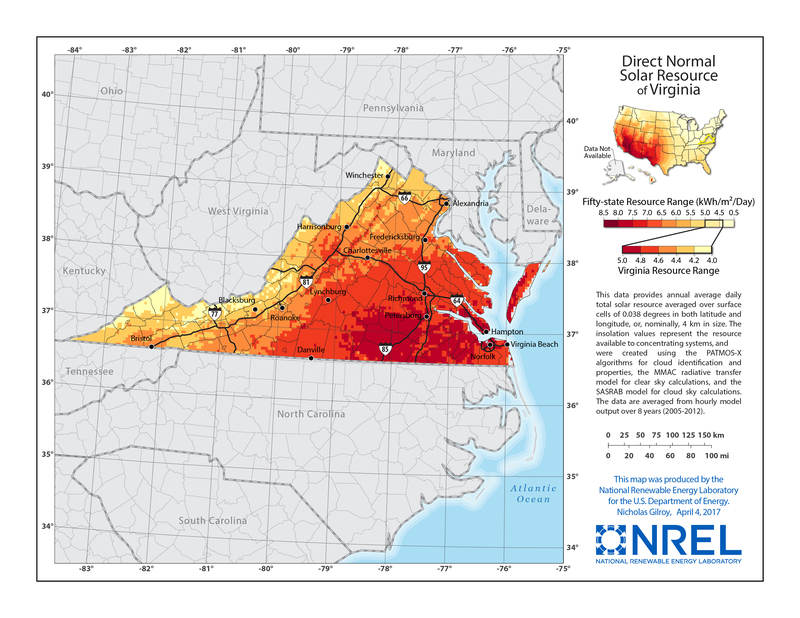 Map courtesy of the National Renewable Energy Laboratory. Click the image to enlarge it. The amount of sun is just one factor that can affect what kind of solar installation you need where you live. As long as you get four hours a day of peak sunlight on average over the year, then you live in a good area for going solar, sunshine-wise. And that covers the whole state of Virginia. All these variables mean that no home solar installation is exactly the same as any other. It’s custom work that must be put in by a skilled installer in order to give you the best performance. Of course, you can order solar panels online. But unless you’re a qualified solar PV installer or electrician, it’s dangerous and risky to try to install solar panels yourself. 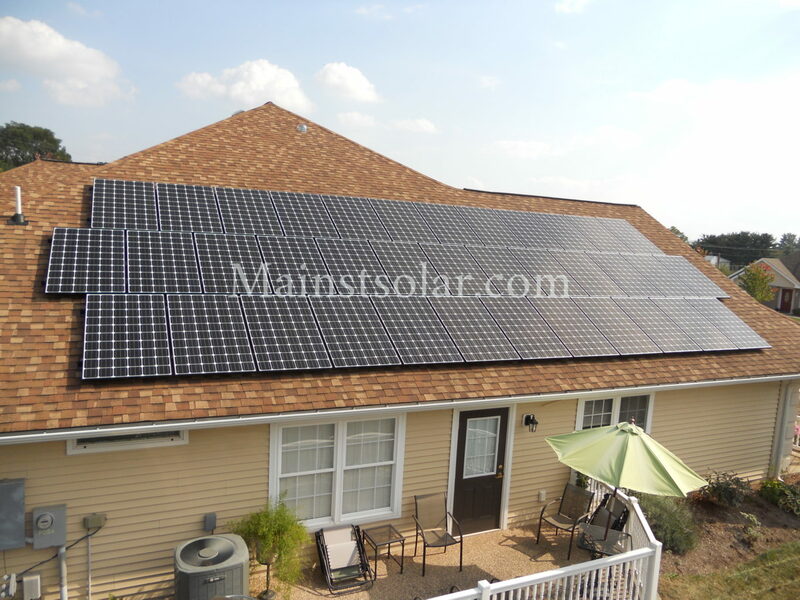 You should always find a qualified local installer to put in a solar energy system at your home. And you just can’t order a generic solar system off-the-shelf from an installer either. For example, it’s not possible to go to a solar installer and say that you want their “Ranch House Package” or their “Farm House System,” because such a thing doesn’t exist. And just because your neighbor got solar doesn’t mean his or her system is the right one for you. Maybe your roof faces a different direction or is steeper. Maybe you have the exact same house from the same developer, but your neighbor’s roof is shaded by a huge red maple. Maybe you have three kids and a hot tub and you use more electricity than your neighbor. Maybe you have important medical equipment in the home and you’re concerned about power outages, so you want a battery back-up system connected to your solar. Then there are the differences you don’t normally see or think about. Does your electrical panel have room for the solar? Are your rafters strong enough to support the panels or do they need reinforcement? 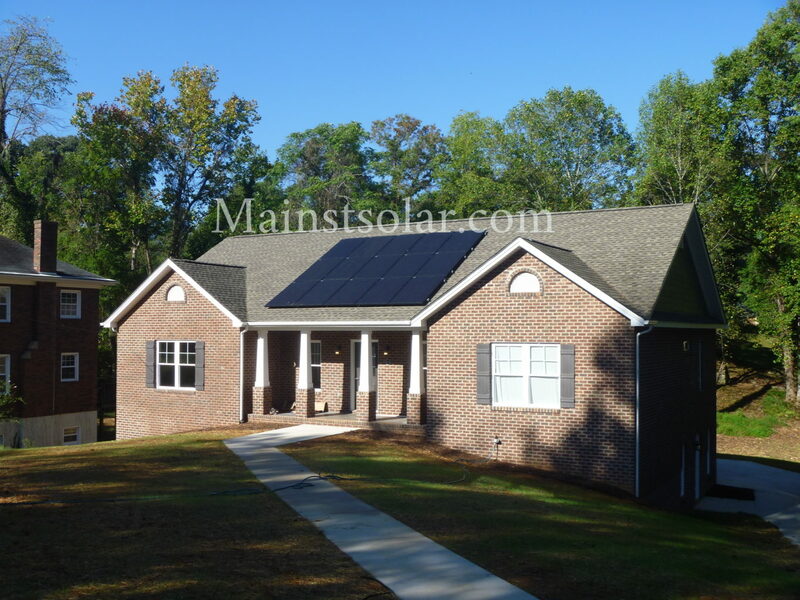 Every home solar system is a custom solar system. And it all starts with an accurate assessment of whether your home can go solar at all, and if so, what it would take to do it. Remote Quotes: Worse Than No Quotes at All? Unfortunately, not every home does qualify to host solar panels. Obviously, if you live in a building with multiple units of apartments or condos, you don’t have your own roof to put solar panels on. But even a free-standing house may not be right for solar panels, for example, if the house’s roof is too small, is shaded by neighboring house or slopes in the wrong direction. Even if your home does qualify to host solar panels, determining what it would take to go solar is a custom process. For example: How many panels would you need to cover enough of your electric usage to make an investment in solar worthwhile? If the panels were more expensive but more powerful, could you get by with fewer panels and still produce the same amount of power? How can the panels be placed on your roof in terms of direction and slope to get the maximum benefit? These and other necessary questions can only be answered by an experienced solar installer who visits your home in person. Remote tools, such as software that analyzes satellite photos, can give a quick idea of whether solar might work at your house, but are no substitute for an-in person assessment. So, if a solar installer offers to give you a “quick quote” just based on your street address and answering a few questions online or over the phone about your home, you shouldn’t put much stock in that. Such a quote will never give you reliable information about what it would take to go solar in your particular situation. Even worse, a remote quote may just be a way for an installer to pull you in with an unrealistically low price. Then, once they get to talk to you, they may try to upsell you on a bigger system or higher priced equipment. You might think that getting a remote quote can help you make a short list of solar installers by weeding out those with the highest price, but it might just turn out to be a frustrating waste of time. It’s always better to do your research on local solar installers. 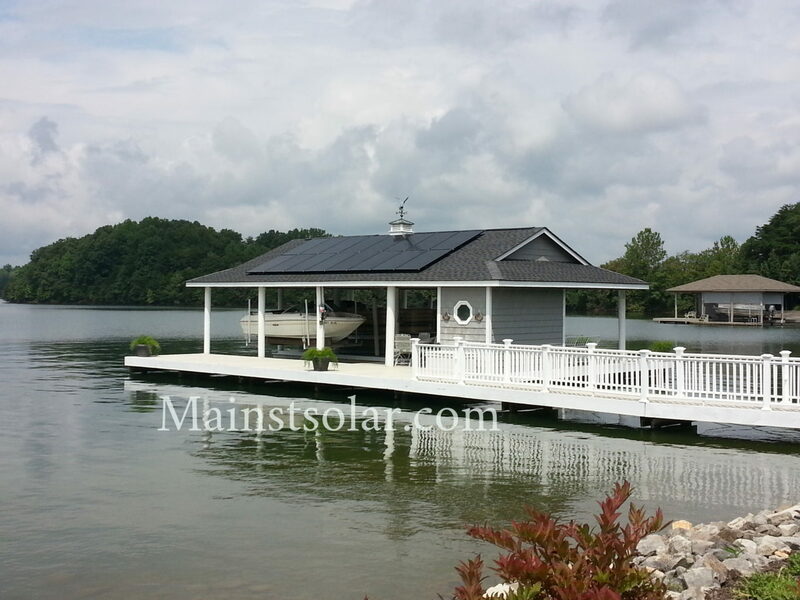 Look at their websites and check out their customer comments on SolarReviews. This will help you narrow down your list to 2-3 companies that appear trustworthy. Then, talk to each one on the phone about their approach. If it sounds promising, request that they come by your house and do a proper on-site assessment with a quote based on an in-person inspection of your roof, your electrical system, and other important aspects of your home. 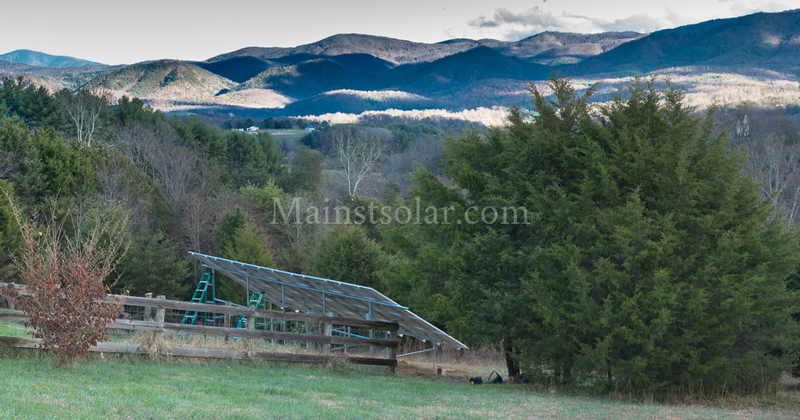 So, whether you live in or near Blacksburg, Roanoke, Lynchburg, Charlottesville, Staunton, Harrisonburg or anywhere in our service area of Southwest and Central Virginia, we’re happy to come by your house and give you an accurate picture of your solar potential. Just ask us for a free quote today.